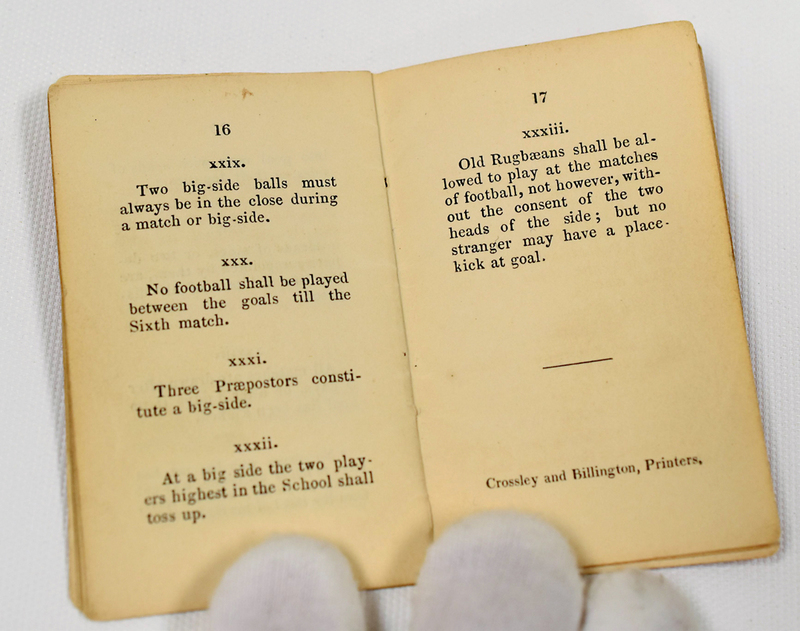 The laws of rugby as we came to know it were first written out in longhand by three pupils of the Rugby school in August 1845 before a local printer, Crossley and Billington, published them in a tiny pocket-sized booklet. The rules were often carried in waistcoat pockets during games. The exact bibliography of the printing is unclear but the booklet offered at the Cardiff saleroom on May 13 is considered a unique and unrecorded printing of these early rules. 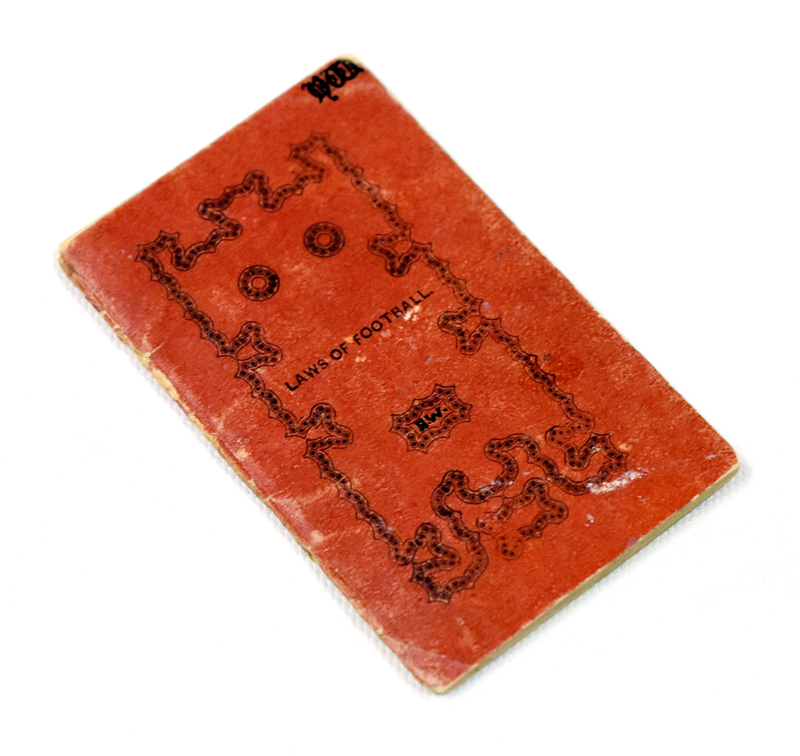 On the red card cover of this copy are the initials HW that relate to an inscription inside, H Waddington, October 3rd 1851. There were two Rugbaeans who this could be: Horace Waddington, who attended the school from 1850-53, or William Henry Waddington (1829-94), a future Prime Minister of France and statesman who played a significant role in the development of the modern Olympic Games. There is no record of a similar copy of The Laws having ever been offered publicly for sale. 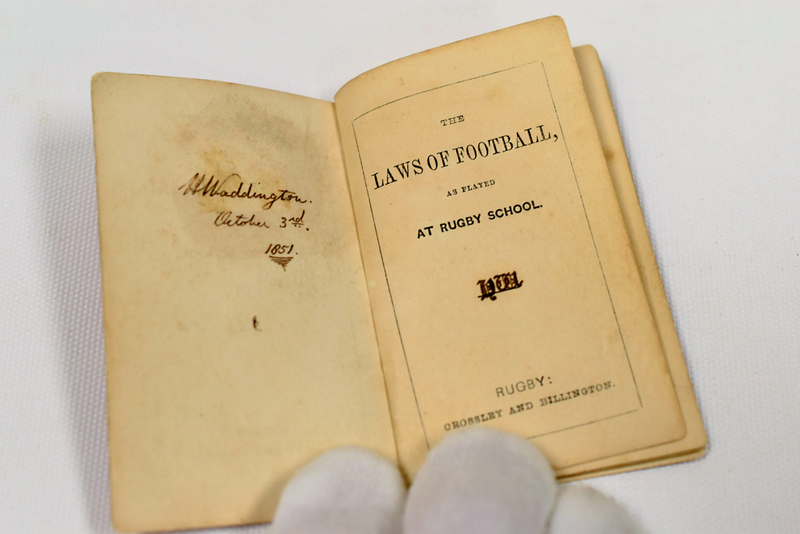 This one, found by a former book store owner among a huge stock of rugby books, was pitched at £1000-1500 but sold to a private collector in the UK at £13,000.